Rihanna is suing her father over the use of their family name, claiming that he is misusing her image and tricking people into thinking she is involved. It is important to note that because the singer turned makeup mogul was born Robyn Rihanna Fenty, her father, Ronald Fenty, effectively named his company after himself, and his family. The star has been using her registered “Fenty” mark in association with her businesses since 2012, and her Fenty Beauty line made Time magazine’s list of best inventions of 2017. 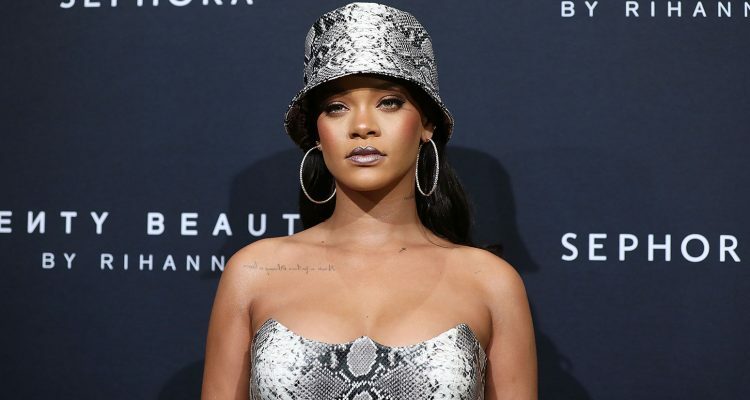 According to the complaint, Ronald and his business partner launched Fenty Entertainment in April 2017 and lied about Rihanna’s involvement in a press release announcing the company. The two promised a deal in which they would receive $15.4 million in exchange for the multi-Grammy award winner to perform 15 shows in Latin America and two 15 minute sets at Calibash. Fenty Entertainment accepted the deal, according to the complaint, and lied to the buyer that Rihanna and Roc Nation had approved it. As it turns out, the “Umbrella” singer never signed off on the deal, and her father pushed further, despite receiving multiple cease and desist orders to keep her likeness from being used. Rihanna is now suing for false designation of origin, false advertising and invasion of her rights of privacy and publicity, among other claims. She is also asking that the company not use any Fenty-like trademarks to falsely promote any business affiliation going forward.